For Hike 31 of my 52 Hike Challenge, Eric and I decided to hike Little Cottonwood Canyon, not far from where we were living in Salt Lake City. We decided to tackle Little Cottonwood Creek Trail. When we finished we noticed another trail to a waterfall just across the street and decided to tack that on, too! Little Cottonwood Creek Trail is an easy hike with little elevation change, but does require hopping through some rock falls. The trail gets narrow with a sharp drop off and significant slant in a few places that may make some nervous, but we were able to navigate these no problem. However, I have no idea how the mountain bikers on this trail zoomed through those areas. Impressive and too daring for me! The entire length of trail we tackled (about two miles out and back) follows Little Cottonwood Creek, with a few log crossings that made for nice photo ops. There are also some ruins along the way which are always an entire surprise in the forest. Even on a sunny August day this trail was cool due to the elevation and shaded trail. We did encounter quite a few (friendly) bikers on this narrow trail, even midday on a weekday, so be alert and aware of those around you while taking on this hiking. I had read about Lisa Falls but hadn’t planned to hike it on this day. However the trailhead was just across the street from the Little Cottonwood Creek trailhead, and it’s a short hike to the falls, so we couldn’t pass it up. This trail turned out to be a lot more exciting than Little Cottonwood Creek. There is certainly more elevation gain here, although still not much overall. You’re picking your way through rocks and tree roots most of the way up to the falls. I enjoy a technical hike as it gives me something to focus on and think about. When we reached the falls, we climbed out onto some sunny boulders. This was the perfect place to warm up a little bit and have a snack. The trail continues up the falls, but we had used up our time and had to head down. 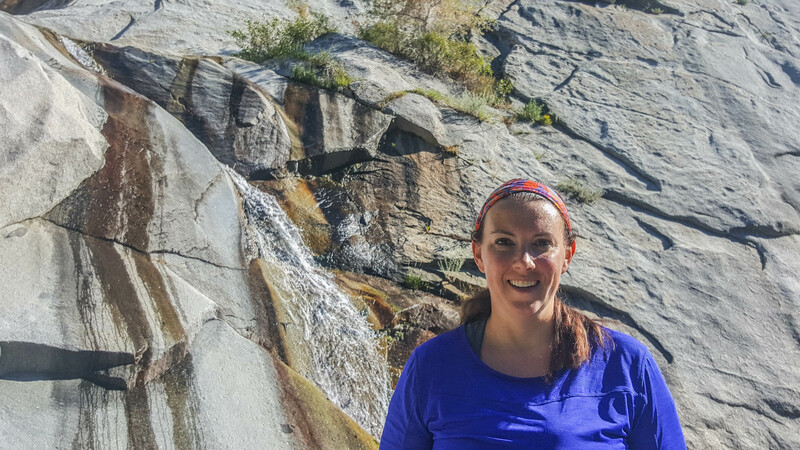 While I wouldn’t revisit Little Cottonwood Creek, I would love to go back to Lisa Falls and continue this hike. Have you hiked around Salt Lake City or traveled either of these trails? Tell me about it in the comments!